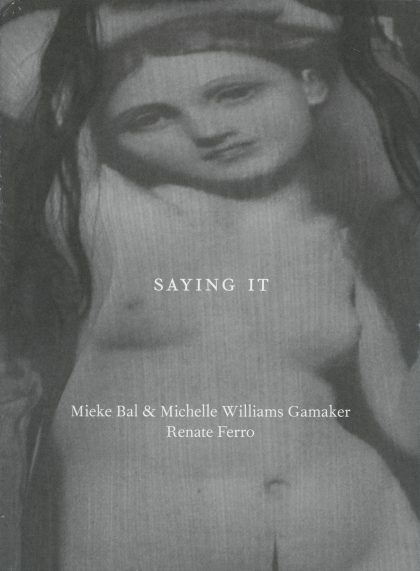 Saying It accompanies the 2012 eponymous exhibition by artists Mieke Bal & Michelle Williams Gamaker and Renate Ferro at the Freud Museum, London. 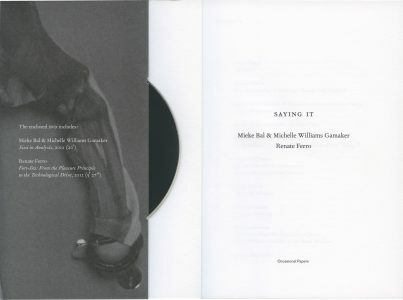 It contains new essays by highly respected theorists Cathy Caruth, Marjorie Garber, Miguel Á. Hernández-Navarro, Ranjana Khanna and by the exhibition’s curator, Joanne Morra. 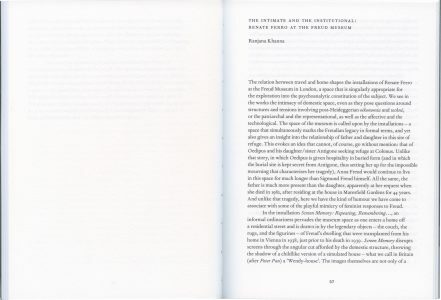 Not only does Saying It shed light on key concepts of psychoanalysis (psychosis, transference, screen memories), it also reveals new layers of narrative and meaning enfolded in the former London home of Anna and Sigmund Freud, now a world-renowned museum and archive. 145 × 200 mm, 96 pp.